When we think of buying a compound bow, these things come into mind: design, price, and quality. If it’s about the specifications of one bow, we check the draw length and draw weight to know if the equipment is a perfect match for us. Though one other specification should be included in the list of what to consider: brace height. 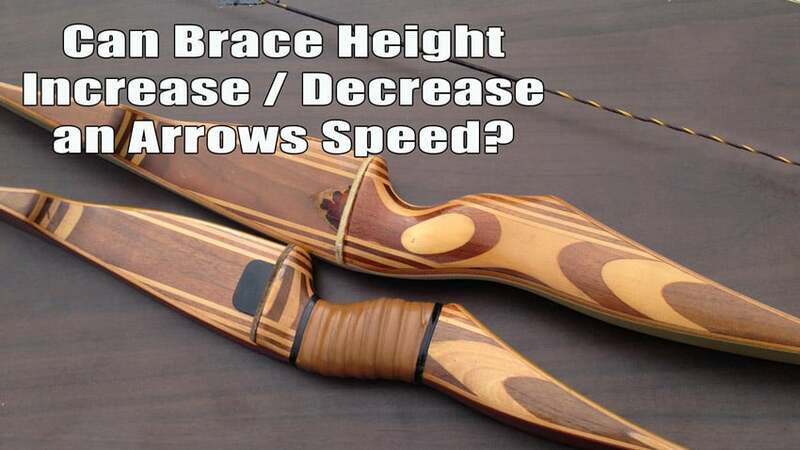 In this article, we will discuss what is brace height, what is its significance in compound bows or even the recurve bows. Brace height is simply defined as the farthest distance between the pivot point of the bow and the string of the bow. The pivot point is found at the grip of the compound bow and is usually the mark where the grip and the arrow shaft come in contact with one another during full draw. Measuring it is easy. Lay down the bow in your front, in this sequence, position it in a horizontal position. Using a measuring tool, start at the pivot point of the grip. This is then the farthest distance to the string than at any other point of the bow’s limbs. Measure the distance perpendicularly to the orientation of the bow, stopping at the string. Take it in inches and compare it to the product’s description to be exact. Incidentally, a compound bow’s brace height is listed by the manufacturer on the product’s description as in only one measurement. This specific number gives you the optimal performance a compound bow can achieve. Considering the limbs of a compound bow, the brace height is then deemed unchangeable. But this is not the case with recurve bows. 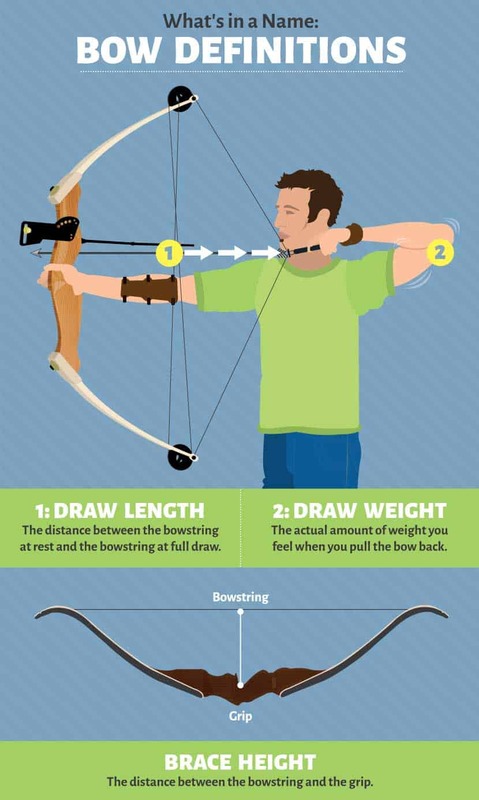 When it comes to brace height, those who already know associate it with how fast an arrow can travel or how forgiving the bow will be when you draw the string. Brace height can affect how fast an arrow can travel upon release. As a fact, shorter brace height produces arrows at a faster rate than an arrow shot with a longer brace height. 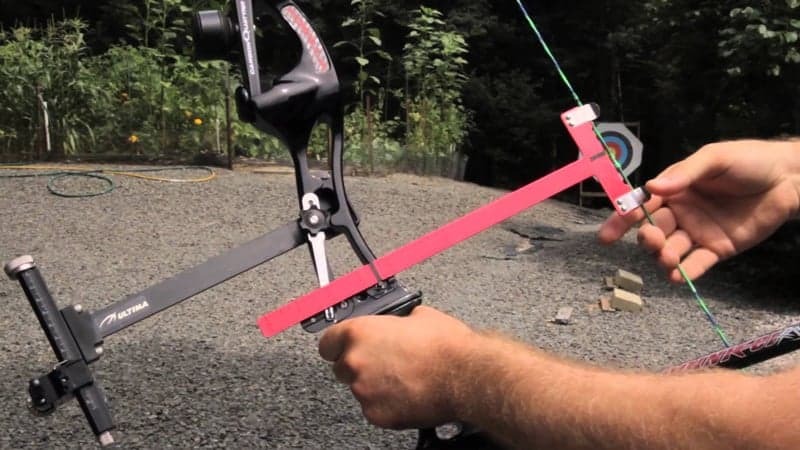 Discussing it in detail, the distance between the grip and the string determines the powerstroke or how explosive the arrow can be upon release of the string. Powerstroke is about power and speed. The shorter the brace height, the greater is the powerstroke. The opposite goes for longer brace heights. Powerstroke is determined by the given brace height and the draw length. Given a situation: the first bow with a draw length of 30 inches and a brace height of 7 inches is used to fire an arrow. The draw stroke that you could manage to pull at full draw is then 23 inches. The second bow of the same qualities and same 30-inch draw length has a brace height of 5.5 inches instead. At full draw, the draw stroke is measured at 24.5 inches. The larger draw stroke that is from the shorter brace height has a difference of 1.5 inches compared to the longer brace height. This 1.5 inches measurement means the increase of the bow’s potential energy. Because of this, it would mean greater force to be transferred when the arrow is released. We already know which of the two arrows will travel faster. It is said that for every inch of difference between brace heights, there is an additional 10 feet per second for the greater brace height. The next one to focus on when talking about brace heights aside from arrow speed is how forgiving or lenient the bow can be. If you look at all the compound bows in the market, the brace heights according to their product descriptions range from different numbers. Since speed is important for most archers, archery brands should make equipment with shorter brace heights, shouldn’t they? However, when it comes to arrow forgiveness, there would be a bit of a problem with short brace heights. Why is it so? This case is called a trade-off. Of course, with shorter brace height means less forgiving, it is also true for longer brace height to be more forgiving when you’re shooting. Simply explained, forgiveness for a bow is about how confident you can be in your shooting skill and form. For shorter brace heights, since it is less forgiving, you need higher skills in shooting to achieve the required accuracy. The arrow stays longer in contact with the string regarding the distance and the period for this scenario; the pressure is more on your shooting form, hand torque, etc. that may affect the flight of the arrow when you release the string. This also affects your shooting consistency. With shorter brace height, the risk of the string slapping painfully to your forearm increases and this is surely uncomfortable for you. Though the longer brace height means slower arrows, it is more lenient for the archer when it comes to the shooting form and lesser chances of vertical torque. Thus, in considering the brace height you want for yourself, check out firmly which of the two, shorter or longer brace height, is more fitting to you regarding both speed and shootability. In determining what brace height you should have, considering the skill set you currently possess is instrumental. If you’re confident with your skills as an archer regarding your form and technique, get a shorter brace height for more thrill when it comes to faster arrows. The less forgiving bow will then be a little challenge for you. However, if you think that you’re still prone to missed shots and take archery as a recreational activity and don’t need fast arrows, get the longer brace length. It is more forgiving to any errors you’d make. This is the end of the article of what brace height is. It is indeed important to look out for when you buy compound bows. But in recurve bows, this shouldn’t pose a big problem as you can adjust the angle of the limbs by yourself.